Starting from Planck quantities, the Period Doubling mechanism produces precise predictions to stable structures ranging from elementary particles to celestial systems. 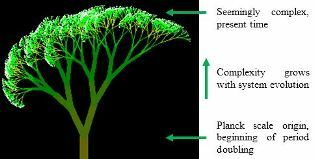 The buildup of structures in space is governed by the simplest possible law of nature, Period Doubling, which is a universal property of nonlinear systems. PD discloses the system of elementary particles as well as the law behind planetary orbits. La Nuova Critica, Special Issue 63-64, ISSN 1824-9663 (2016), Scientific Models and a Comprehensive Picture of Reality, pp. 91-115. VIDEO. The Planck energy can be calculated either from the conventional Planck mass or defined using the electron-positron pair rest energy. The latter gives extremely simple structures and accurate rest masses for the proton and the neutron indicating that the conventional Planck mass is a little off. PFS Seminar presentation 22.2.2016, Ari Lehto. In the period doubling scenario the neutrino appears quite naturally from the neutron decay, and it seems to be an uncharged partner of an electron (or a positron) originating from the decay of an excited electron-positron pair. Period doubling, or a frequency halving sequence, is a common property of nonlinear dynamical systems. Period can be related to other physical quantities, e.g. length, energy and temperature, which obtain the corresponding doubling/halving behavior. It is found that physical properties of natural phenomena, systems and elementary particles can be derived directly from the Planck time, taken as the fundamental period. Analysis of experimental data suggests that the period doubling process takes place in three and four internal degrees of freedom. It is further found out that long term stability complies with the stability condition of nonlinear dynamical systems. A theory of period doubling in 1/r-type nonlinear systems with three and four internal degrees of freedom is presented. August 2015 - Ari Lehto, one of the founders of the Physics Foundations Society, has introduced a period-based classification for the elementary particles. Starting from Planck units, the classification appears as a consequence of a period doubling mechanism, which is a universal property of nonlinear dynamical systems. By allowing 3 degrees of freedom for mass energy structures and 4 degrees of freedom for electromagnetic energy structures, the known elementary particles are ordered according to the total number of period doublings forming a system in full agreement with the classification given by the Standard Model of Elementary Particles. The model allows exact calculation of the rest energies of the known particles and there is no need for the quark hypothesis. It also proposes sites for possible particles still missing from the particle listing. - A preliminary presentation can be opened here. Abstract: Invariant properties and structures of matter are modeled by internal period-like degrees of freedom. Invariance then means periods, which remain unaltered over time. Period doubling is a phenomenon common to nonlinear dynamical systems. In this model the doubling process is generalized into multiple dimensions and utilized to bring about sub-harmonic frequencies, which generate decreasing energies and increasing sizes. It is assumed that period doubling takes place at the Planck scale, and therefore the Planck units are used as reference. The sub-harmonics can be converted into several other physical quantities by well known physical relations. A certain class of sub-harmonics is stable and the elementary electric charge (squared), rest energies and magnetic moments of the electron-positron and proton-antiproton pairs are shown to belong to this class. 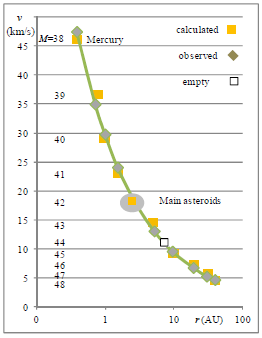 It is suggested that the structure of the Solar system results from period doubling, too. Abstract: Invariant and long-lived physical properties and structures of matter are modeled by intrinsic rotations in three and four degrees of freedom. The rotations are quantized starting from the Planck scale by using a nonlinear 1/r potential and period doubling - a common property of nonlinear dynamical systems. 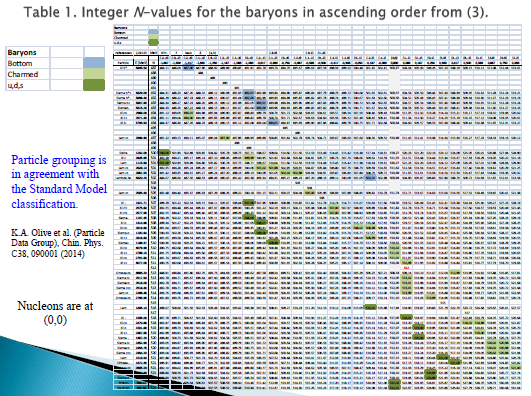 The absolute values given by the scale-independent model fit closely with observations in a wide range of scales. A comparison is made between the values calculated from the model and the properties of the basic elementary particles, particle processes, planetary systems, and other physical phenomena. The model also shows that the perceived forces can be divided into two categories: (1) force is always attractive, like in gravitation and (2) force is attractive or repulsive, like in electrostatics. Ari Lehto, On (3+3)-Dimensional Discrete Space-Time University of Helsinki, Report Series in Physics, HU-P-236 (1984).